War on Want NI has joined together with Self Help Africa, based in the Republic of Ireland, and people from both charities are enthusiastic about the future. Northern Ireland’s oldest independent international development agency this week merged with a southern counterpart. War on Want NI has been in existence for nearly 60 years and, when it separated from War on Want in Britain in 1971, it became the first independent organisation of its kind in NI. Self Help Africa is an organisation in the Republic of Ireland (which itself merged with Gorta, Ireland’s longest-established agricultural development charity in 2014). 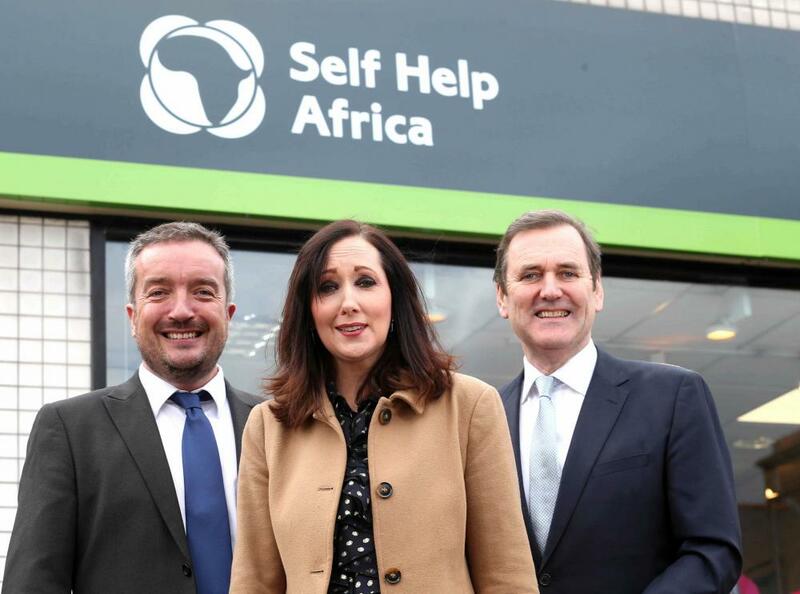 Together, the two organisations have formed Self Help Africa NI. The combined organisation will have a total budget of close to £25m in 2018 and will provide agricultural, nutrition and income development to over four million people. Both groups work in sub-Saharan Africa, in countries like Uganda and Malawi, helping to support and develop local farmers and improve their sustainable enterprise. Scope spoke with Tom Kitt, chair of Self Help Africa, and Siobhan Hanley, Director of War on Want NI, about why both organisations decided to pursue the merger and what it means for the work of the new NGO. Mr Kitt is a former minister in the Irish government, including being involved in negotiations for the Good Friday Agreement. His many government posts included a stint as Minister of State with responsibility for Overseas Development and Human Rights from 2002 to 2004 – which he says was the role that meant the most to him personally. As funding perhaps becomes harder to raise, and with the potential for increased efficiency in bigger organisations, mergers could become more and more common. However, as well as the extra work that comes with planning and executing such a move, there is also the question of what the resulting organisation would look like. In this case, that problem was minimal – or perhaps not there at all. Mr Kitt said: “The main reason for our merger was that we can work well together, we have a similar approach – a self-help approach – which is different from a lot of other organisations. We are also involved in the same countries. For some, a merger comes with a certain sadness - with one, some or all organisations involved losing their identity. That might be sentiment, but it is an understandable one. However, for War on Want NI, the argument cut the other way. Siobhan Hanley took over as director in May 2016 and immediately carried out a financial review of the charity, and looked at future planning. Parts of the organisation are very strong – they have 13 shops in Northern Ireland, staffed almost entirely by volunteers, so these run a solid profit that feeds back into the organisation’s work – but there were also growing difficulties. She said: “As well as funding becoming more difficult, there is also an increasingly large burden of compliance. It is easier for larger organisations to handle this due to economies of scale. “There were two issues for us: firstly, we wanted to secure our future financially, as best as possible; secondly, War on Want NI was always getting confused with War on Want in Britain – we are a non-denominational, independent organisation, whereas War on Want is politically active, and even some funders were unclear on the difference. War on Want was investigating the possibility of rebranding when Ms Hanley was introduced to Ray Jordan, CEO of Self Help Africa, in March 2017. They had discussions over the next few months and, increasingly, both organisations felt a merger could be hugely successful – creating something that was more than the sum of its parts. For War on Want, protecting its legacy meant looking after, in the best and most sustainable way, the people in Africa who rely on its services. That was always the bottom line. The wishes of its volunteers were also important – of course – but these ultimately matched the organisation. Many of War on Want NI’s volunteers have helped the organisation for decades – including one woman who, in 2019, will have been giving up her time to the organisation for the past 50 years. Maximising the charity’s good work, rather than trying to maintain any historical structure, was the aim for everyone. Ms Hanley said: “Our beneficiaries are at the heart of any decisions we make. We went through a lengthy process, engaging with staff members and volunteers, led by myself and the board. “In August last year we made the decision to move things forward and look at due diligence, Self Help Africa did the same, and that was completed at the end of October. We held an EGM on December 15 last year and our members were 98.7% in favour of the merger. “For us, that was so important. Many of our volunteers are members of the organisation and it was great to have that level of support – for them, it means more than just a few hours of volunteering, it’s part of their lives. Mr Kitt is excited about what this new, larger charity can achieve. Self Help Africa’s work centres around development of agriculture and comprises, broadly, three strands: improving farming practices (and note that all the work is done by African farmers, with African staff, and with African country directors); building enterprise skills, such as financial capability and business planning; and plugging producers into supply chains and helping them get a fair price for their goods. As an example, he said: “In Ethiopia we have joined in supporting a group of barley farmers, helping them form a farming cooperative. They are now producing a higher quality of barley and are supplying the Meta brewery [Meta is a brand of beer], which is effectively a subsidiary of Diageo. He went on: “We probably don’t hit the headlines as much, for obvious reasons. When the media covers NGOs it’s quite natural they will cover those assisting crises, such as famine situations. Unfortunately, that is not the only reason the media has been covering international NGOs of late. The good work of War on Want NI and Self Help Africa is taking place in a very difficult environment for international development charities. The Oxfam scandal has left a huge stain on the reputation of the sector, and created suspicion amongst the public – who, of course, are all potential donors. Mr Kitt is confident in the practices of both Self Help Africa and War on Want NI, and feels the merger will only improve practice. “I’m very pleased to say that, in my time as chair, we have done some very good work on governance, which is crucial to the organisation. We reduced the board to 12 people, it is perfectly gender balanced, but more importantly we have the skills to run the board efficiently and properly, and we fulfil all criteria with regards to codes of conduct and whistleblower legislation. The decision to merge organisations is a big one, but if the new whole can be more than the sum of its parts more charities and social enterprises will consider the transformation.